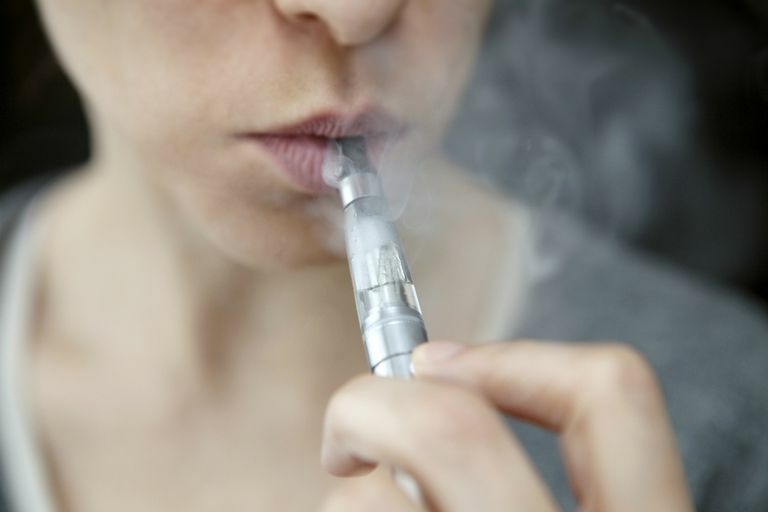 Is Your Teen Buying E-Cigarettes Online? Currently, sales of e-cigarettes to minors are illegal. But that hasn't stopped sales to minors. Research shows how easily minors can buy e-cigarettes online, even in states where it is prohibited. A 2015 study published in JAMA Pediatrics proves how easy it is for teens can purchase e-cigarettes online. Researchers worked with law enforcement officials to test what happened when underage teens in North Carolina tried to purchase e-cigarettes over the Internet. Despite the state’s 2013 e-cigarette verification law, there was very little standing in the way of sales to minors. Over the course of four months, underage study participants made e-cigarette purchases from 98 vendors. The minors successfully received the delivery of e-cigarettes 76.5 percent of the time. All delivered packages came from shipping companies that, according to federal regulation or company policy, do not ship cigarettes to consumers. Yet, 95% of the deliveries were left at the door without any attempts to verify customer’s ages. Of all the orders, 18 failed for reasons unrelated to age verification. Only five purchase attempts were rejected due to the minor’s age. Researchers concluded that minors can easily purchase e-cigarettes over the Internet because e-cigarettes vendors aren’t taking steps to verify a buyer’s age. Internet sales of e-cigarettes aren’t regulated very closely and minors can easily access them. Unfortunately, it’s not just e-cigarettes teens are purchasing online. Minors are also buying conventional cigarettes and even alcohol via the Internet, even though there are stricter regulations in place for those substances. 1. Educate your teen about the dangers. Many teens (as well as their parents) underestimate the dangers of e-cigarettes. Since smoking e-cigarettes doesn’t involve inhaling harmful smoke into the lungs, many people mistakenly believe they’re safe. But e-cigarettes pose serious health risks. Educate yourself about e-cigarettes and talk to your teen about the dangers. Hold ongoing conversations about why e-cigarettes likely appeal to young people. Discuss how smoking e-cigarettes can lead to a serious addiction. 2. Include e-cigarettes in your discussions about drugs and alcohol. Since traditional smoking has declined among young people, many parents don’t invest much time talking to teens about smoking. Instead, they assume teens have learned a lot about the risks via school or other public service announcements. But it’s essential for you to include both traditional and e-cigarettes during your discussions about drugs and alcohol since nicotine is a drug with harmful side effects. Expressing disapproval can deter your teen from picking up the habit. 3. Be an involved parent. It’s important to monitor your teen’s online activity. Periodically looking over your child’s shoulder or making it known that you have the right to review your teen’s Internet activity can discourage your teen from ordering e-cigarettes online. It's also important to stay well-informed on your ​teen's spending habits. Know how your teen is earning and spending money on a regular basis. Prevent your teen from using allowance money or income from a part-time job to buy harmful substances, like e-cigarettes. If you allow your teen to use your credit card, keep a close eye on where the money is being spent and stay up-to-date on any accounts your teen sets up, such as a PayPal account, to purchase items online.